US intelligence sources suspect the facilities in Damghan launched operations in 1989 and were meant to produce agents for ballistic missile warheads. According to unconfirmed reports, Damghan is the site of a biological weapons research laboratory constructed with Russian assistance. The BW laboratory is allegedly located near Iran's CW production facilities at Damghan. "Special Report: Chemical and Biological Warfare Programs," Jane's Intelligence Review-Special Report, 1 June 1995. Anthony Cordesman, Iran's Military Forces in Transition: Conventional Threats and Weapons of Mass Destruction, p. 236. "U.S. 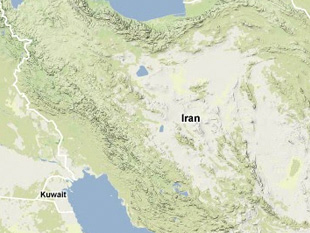 Suspects Iranian CW Facility Damaged in Quake," Middle East Newsline, vol. 4, no. 243, 24 June 2002. Exploring U.S. Missile Defense Requirements in 2010: What Are the Policy and Technology Challenges? Institute for Foreign Policy Analysis, April 1997, ch. 4. James Adams, "Russia helps Iran's Bio-warfare" Sunday Times, Washington, DC, 27 August 1995, www.nti.org.